BBC NEWS | Entertainment | BBC caught in a 'perfect storm'? BBC caught in a 'perfect storm'? For a programme that prompted just two complaints when it was broadcast, Russell Brand's Radio 2 Show has caused a remarkable furore. The sudden flurry of action by the BBC director general Mark Thompson and the BBC Trust, which represents licence-payers, shows just how far and fast the row has escalated. The BBC had hoped that its original statement of apology on Monday, including an acknowledgement that the broadcast had been unacceptable, would calm things down - at least until its review of what had gone wrong had been completed. But that strategy started to unravel as the complaints rose - from 4,700 to 10,000 to 18,000 - and as more politicians weighed in, culminating in the Prime Minister's call for the BBC to take "appropriate action". It all carried echoes of last year's broadcasting rows, which caught managers on the hop by the speed with which they unfolded - prompting (and then fuelled by) heated debate in newspapers, on the airwaves, in Parliament and, above all, on the internet. The growth of e-mails, YouTube, and message boards have all helped to create a perfect storm in which complaints can escalate exponentially, with journalists demanding responses and politicians feeling obliged to step in. At the BBC, the misleading editing of a trailer for the BBC documentary about the Queen led to the resignation of the controller of BBC One, Peter Fincham. At Channel 4, the racist bullying on Celebrity Big Brother - which prompted no fewer than 44,000 complaints to Ofcom - prompted heavy criticism of the channel's chief executive, Andy Duncan, and board, though no resignations. And, across the industry, the rows over a succession of faked phone-ins and competitions led to large fines from the broadcasting regulator Ofcom and further heads (or deputy heads) rolling. It's too soon to say where this incident will rank on the scale of broadcasting scandals. Mark Thompson's suspension of Brand and Ross may seem drastic - it's hard to recall a previous occasion when the BBC's highest-paid star was suspended - but it is just a holding action. The eventual outcome won't become clear until Thompson has received the report into what happened and who was to blame, after which he will decide what further action needs to be taken. 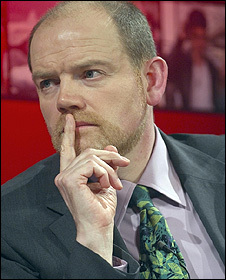 He's initially meeting the Editorial Standards Committee of the BBC Trust this week, but further meetings will follow. Ofcom's own inquiry could take longer still - and could lead to the BBC being fined up to £250,000. However, a monetary sanction will be criticised by many, since it means the licence-payer is footing the bill for lapses by BBC staff and/or presenters. But though the ultimate outcome is in doubt, some things are already clear. The complaints are not coming from those who were offended by the original broadcast. 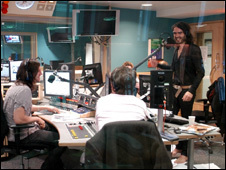 Regular listeners know what to expect with Russell Brand. One of the defences put by broadcasters and regulators when making "edgy" comedy and other controversial fare is that it must be seen in context. Did the programme go out late at night? Were listeners and viewers caught unawares? Did they know what to expect? But it's now becoming clear that this on its own is not enough - that non-listeners have a right to complain as well. The complaints have mainly come from people who would never listen to Brand but who disapprove of what was being said and done by two presenters receiving large salaries paid for by their licence fee. In particular, Jonathan Ross has aroused anger both for his reported £6 million-a-year salary and previous lewd incidents on television and radio. Many people ask why the BBC as a publicly-funded, public-service broadcaster, is paying for this. Meanwhile, many younger listeners are asking what the fuss is about. 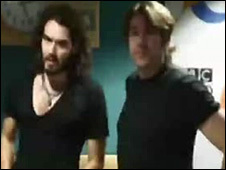 Calls and texts to Radio One's Newsbeat have mostly been supportive of Brand and Ross, saying they found the remarks funny. And, the more that politicians have got involved in the debate, the greater the audience's support has been for the two comics. Finally, it's clear that the presenters themselves are not the only ones to blame. Producers and executives who allowed the pre-recorded programme on the air must still face the music - and their responsibility will become clearer once the BBC publishes its report.